Brisbane Youth Service CEO, Annemaree Callander recently visited our friends at Queensland Residential Tenancies Authority to accept a giant cheque for $3,600! Residential Tenancies Authority staff give back to their local community by raising money through their ‘Casual Friday’ program, with staff donating a gold coin in lieu of donning their usual corporate attire. Brisbane Youth Service is very fortunate to be one of the charities chosen to benefit from the funds raised. One of the main ways we help homeless young people and young families is by assisting them to find and maintain safe, stable accommodation and to develop the skills needed to maintain their own property. 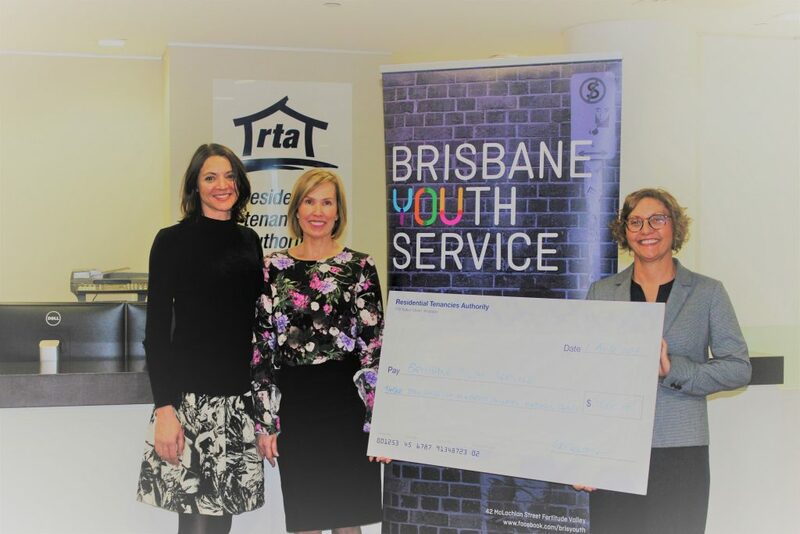 The money raised by the generous staff at Residential Tenancies Authority will be used to provide furniture, essential appliances and other household basics for young people transitioning from homelessness into a home of their own.